First Choice Interlock of Kansas City in Shawnee, KS has provided answers to some of the frequently asked questions about ignition interlock devices that provide alcohol monitoring via breath test for DUI offenders. What is the Smart Start 2030? The Smart Start 2030 is an alcohol-specific ignition interlock device. It integrates breathalyzer technology with the ignition system of your vehicle to safeguard your driving. This device is the culmination of more than 20 years of ignition interlock experience. How does the Smart Start 2030 work? First Choice Interlock of Kansas City will install the Smart Start 2030 into your vehicle’s electrical system. When you’re ready to drive, you provide a simple breath test, and if our system detects a blood alcohol level over the predetermined limit, the car will not start. 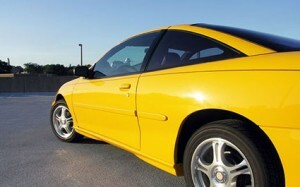 Will my car shut down while driving? No. Our interlock is only capable of preventing the engine from starting; it never overrides the ignition once it is engaged. What is the cost of the Smart Start 2030? We realize that dealing with a DUI or DWI is extremely expensive, so we make every effort to limit the expense of your recovery. Contact us for a quote. Can I buy an Ignition Interlock Device? No. 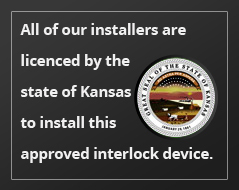 Interlock devices are regulated by the state of Kansas and are available for lease only. How soon can the interlock device be installed? We often have same-day interlock installation appointments available but contact us for details. Can the Smart Start 2030 detect anything besides alcohol? No, it is alcohol-specific. However even trace amounts of alcohol present in mouthwash, toothpaste, gum, etc. will register with the device. Our service personnel are ready to troubleshoot and teach you about common alcohol-related products to avoid before driving. How does the state track my device? We store all device data, including installation, monitoring and removal reports. Most states also require that we supply this information to them on a regular basis. The law requires that we report all violations to the agency that suspended your license. What do I do when my driving restrictions ends? Terms of license reinstatement vary by county, so it’s wise to check with the agency responsible for your DUI conviction. We monitor your progress for the duration of your probationary period, then make a final appointment to remove the device and hand you your completion report. Your car then reverts to its original ignition system and we wish you a safe driving future. Who takes care of the state paperwork? We send the appropriate documentation to the Kansas Department of Motor Vehicles. Notification of both your installation and completion of the program are taken care of as part of our service to you. Call us for a pre install appointment. All you will need is your DL number and birth date. We have all of the necessary paperwork; we take care of the notification to the state/court, and handle install and training. The entire process usually takes no more than an hour. Get back on the road. Download the interlock installation form and submit it to First Choice Interlock of Kansas City.